TikTok, an app launched in the early quarters of 2018 which has gained massive publicity for music influencers or those who wish to pave a career path in music production industry by showcasing their abilities, has created new insight among digital marketers. Not only TikTok blossomed itself as a hub for self-image branding and entertainment purposes as this app has an attention-seeking and viral nature to it, and not just catered for Gen Z wannabes, but this app also is becoming a fuel for brand business expansion where it has invited vacancies for brand awareness campaigns, social media marketing, public relations, and also added potentials to the collaborations of organizations. 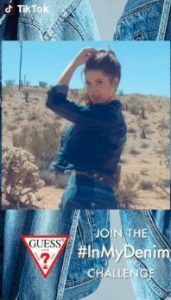 For starters, the fashion partnership of Guess with TikTok begins by posting the models of Guess and bring the brand into an elevated attentiveness to netizens by encouraging netizens to take part of the the #InMyDenim short video challenge by advertising the Guess denim jeans as models and performers of TikTok. According to SVP of Retail and Digital Guess Edward Park, Guess included this digital marketing strategy as researchers have noted the clash of marketing superiority in mobile videos in the year 2019 among the big key player influencers. Also, the vista of influencer marketing latent nature of TikTok is strengthened by account director Chris Strong of Viral Nation, an agency specializing in influencer marketing. Additionally, Forrester mobile marketer also witnessed the rapid revenue growth of 72% in mobile marketing through short video ads. From the increased shares of 4.5 inches mobile screens, the researchers also deduced that this factors in to mobile users’ preference of watching short videos instead of long-minutes videos in YouTube. Creatv Media CEO Peter Csathy also envisioned that future brands share the common intention of mobile video investment and also expands its production, budgeting and quality assurance through mobile video marketing. Through this observation, this evolving psychograph of the digital culture today is the perfect opening for TikTok to shine itself as the No.1 influencer marketing approach for brands. Besides, since there are not many content creators who featured TikTok, so these influencers have increased chances of being featured on the trending pages, which makes TikTok becoming a more preferred medium for content creators, dominating YouTube and driving mobile users to switch sides from YouTube to the current pop culture frenzy TikTok. Jimmy Fallon, the famous NBC Tonight Show host, playing the role of an influencer marketer, also formed partnership with TikTok, has introduced the #Tumbleweed Challenge and #SharpieChallenge. According to TikTok, because of this challenge, TikTok generated over 8K video submissions and topped off more than 10.4M engagements for TikTok, which is TikTok’s biggest shot ever since the first launch of the app under brand name Musical.ly in September 2016, now rebranded as TikTok. Even NBA basketball star legend Lebron James re-shared one of the TikTok creator’s posts, which went viral over 4.8M viewers in one day span. What is more, is that famous artists such as Flo Rida and Meghan Trainor use TikTok to gain more fan base by asking fans to participate in the lip-sync competition videos featuring their latest tracks and promising giveaways for winners. How to make use of TikTok as influencer marketing content? Using TikTok requires a more precise intention than of Insta story or YouTube videos, as understanding the types of contents that works best on the target market is the determinant of whether the optimal amount of viewers can be achieved. For example, if a professional cook wants to advertise his or her channel using TikTok, the target audience has to be the ones who likes to cook, enjoy spending time watching cooking videos and at the same time enjoying the spotlight as well. Once the influencer marketing on TikTok is done right, your channel will gain the SEO authority, whereby when trending sites links to you, your site becomes the most searched for among the netizens. When your channel becomes the top searched content, it will attract more followers on social media to have a free flow of customer reviews on the product being advertised. 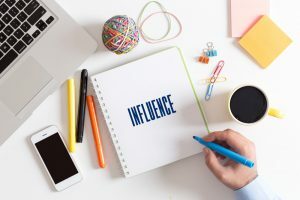 As monitored on the internet, sometimes product placement in influencer marketing can be misused, as seen in Instagrammers posting fake ads to increase brand credibility, which has violated the influencer marketing ethics, for which they refer as influencer marketing fraud. 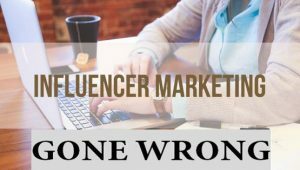 Many top brands in the market has fallen for this fraud whereby these brands were tricked into expecting the return of investment (ROI) from these ambassadors on the social media account, but all they got is just a little or no ROI. Instead, the ones who received the spotlight are the ones who had no real partnership deals with the company itself, and these accounts belong to the ones who are only there to publicise themselves without brand exposure or reputation. This will erase the credibility of the brand, and when credibility is not present, the customer relation built by trust will be breached as well, and people will start doubting if the brand that is marketed is a fake brand which does not exist. The TikTok app is something that digital marketers have been eyeing on for the use of influencer marketing. The only setback is the businesses’ hesitation that this app builds trust. The key note here is this: Being credible in influencer marketing strategies is not confined to the usual serious methods of communication, rather it is to be creative and viral in your content. The more viral you become, the more people are going to know your brand, and the more popular your brand becomes, the viewers will believe that your brand is selling the realistic products or services through this global-community-centered app. If digital marketers are just going to depend on the standard conservative methods of advertising their brands, they will not be able to get high audience reach in high speed. Hence, TikTok app is a worthy turning point option for marketers to consider gaining a significantly productive revenue output in an efficient and audience-capturing content turn, and as the new method to serve the future customers even better. Psst, don’t underestimate TikTok app as the influencer marketing platform, because in regardless of what methods you unleash as your influencer marketing tactics, it is said that 39% of digital marketers will increase influencer marketing expenditure due to the well-received brand identity & ROI received by most companies!